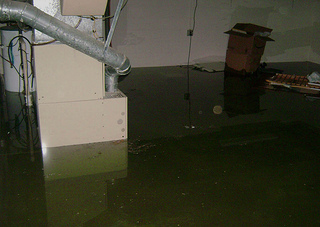 Has your Furnace or Boiler been Damaged by Flooding or Storms in Chicago? Do not operate furnace until it has checked out by a licensed HVAC Contractor. Debris lodged in chimneys; Which can cause carbon monoxide. Sediment or mold that could blow into the house from ducts exposed to water. “Recovery is a process that involves many steps, but don’t forget to think safety first,” said Federal Coordinating Officer Albert Lewis of the Federal Emergency Management Agency. For more information about recovering after the storm, visit a Disaster Recovery Center or check out the information online at www.ready.gov/recovering-disaster. Do not operate a boiler that has been under water until it has been checked and repaired. Issues that arise from water damaged boilers are as follow; Clogged and flooded burners and gas valves. Defective boiler circulating pumps, relays and controls. Contact Around the Town HVAC Today if your basement has been flooded and your heating or cooling appliances have been damaged.